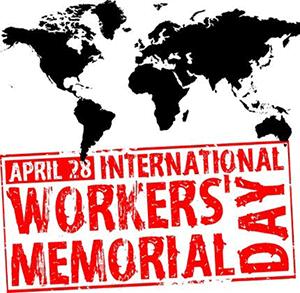 As International Workers' Memorial Day approaches on April 28, the University of California community got two painful wake-up calls about safety hazards last week. On Saturday, April 5, a UCLA student suffered burns on his face, neck, and chest when an oven exploded during an experiment he was conducting in an engineering lab. The Daily Bruin reported the incident occurred "at about 6:30 p.m."
On Monday morning two days later, a custodial worker at UC Berkeley's I-House died after falling about 20 feet from a motorized lift that tipped over. The Daily Californian reported the incident is being investigated. AFSCME 3299, the union that represented Frick, is holding a vigil at noon on Tuesday, starting at UC Berkeley's Sproul Plaza and ending at I-House. When UC axed Anthem Blue Cross last year and replaced it with the new “UC Care” plan, Remaking the University reported that employees were concerned about lower benefits, higher copays and difficulty finding providers. Revisiting the issue, Remaking the University is now reporting widespread dissatisfaction with the new plan, and is encouraging employees on it to share their experiences here. Another look at UCLA records by the Center for Investigative Reporting shows that "Even after UCLA was publicly exposed and criticized for approving lavish travel and entertainment expenses by its top academic officials, the university continued to approve luxury accommodations for two of its biggest spenders." While UC students lobbied the California legislature for a return of affirmative action, the Daily Bruin and the Sacramento Bee both reported on a backlash that has surfaced in Sacramento and on the campaign trail over an affirmative action bill that was defeated earlier this year. The Daily Bruin and the Los Angeles Times report that UC is supporting a bill that would allow undocumented students to access student loans for the first time. Many California public universities and colleges may have frozen tuition, but fees – including those at some UC campuses – are going through the roof, according to this article from the Times-Herald Online. Inside Higher Ed reports on a new study that shows more than half of the nation’s college students are taught by part-time, adjunct, underpaid faculty members, mostly at community colleges. The conclusions are similar to some found in a report from UPTE-CWA, which represents associate faculty members at three California community colleges. And in national news, the Washington Post reports that President Barack Obama signed an executive order last week prohibiting federal contractors from retaliating against employees for disclosing their salaries to co-workers, while Republicans killed the Paycheck Fairness Act in the Senate for the third time. The executive order and the bill are part of a broader campaign to raise women’s wages, which are currently 77% of men’s (see this helpful graphic for an overview).